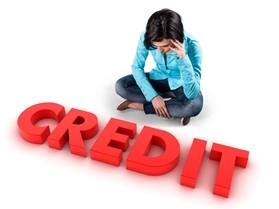 Helping Your College-Bound Child Avoid Credit Problems | The Consumer Law Group, P.C. Many parents send their children off to college with their very first credit card. This, coupled with the fact that nearly 70 percent of all college students have student loans, means that this is the ideal time to make sure your college-bound student understands how credit and debt work so that she does not get in over her head. Credit cards charge interest. To a first-time user, a credit card can feel like free money. Be sure to explain how credit card interest adds up and how to avoid paying fees. Not all debt is alike. Explain to your student the difference between her student loan and any credit card debt she accumulates. Understanding interest rates and risk are essential. Credit scores matter. It is never too soon to understand credit scores. Teach your student that there are serious consequences to a poor credit score and that she begins to build her score with her first credit card. Early credit choices matter. The credit choices your student makes will affect her financial future—everything from interest rates for a car loan, to qualifying for lower insurance rates. Making smart choices in college can widen her post-college options. Credit problems stay with you. Mistakes made as a college freshman can haunt a student for years to come. Not making credit card payments, taking payday loans, Purchasing a car she cannot truly afford, and not making student loan payments on time can affect her credit score and her ability to begin her adult life after graduation. Some parents try to protect their college students by adding them as authorized users to their own credit cards and making payments for them. Not only does this not teach financial responsibility, it also does nothing to build her credit. The better approach is to educate her about debt and guide her through her college years. Otherwise, her debt can come back to haunt you! There are important laws in place to protect you and your college student from unfair credit practices, but unless the student is informed about her rights and responsibilities, the laws won’t be of much help. If you believe your college student’s financial rights have been violated, call The Consumer Law Group, P.C. for advice.